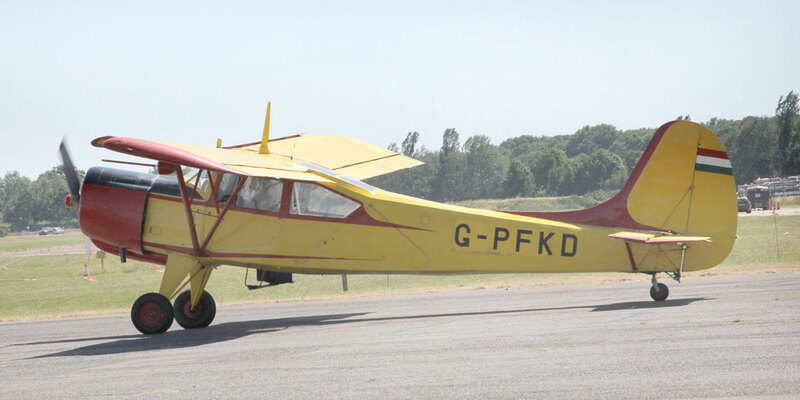 Air-Britain is pleased to announce that its 2019 Fly-In will be taking place at TURWESTON AERODROME over the weekend of 22-23 June. 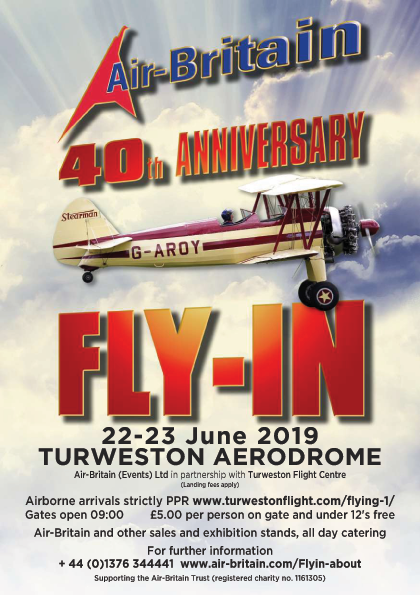 We are delighted to be working in partnership for our 40th Fly-In with our hosts the Turweston Flight Centre Ltd. Turweston offers excellent facilities for visitors, a central location with easy access from the A43 trunk road and unrestricted airspace for pilots. 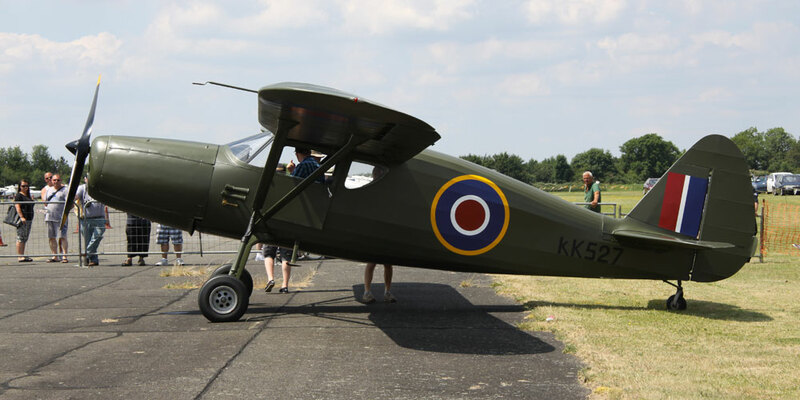 Air-Britain's Fly-In is the longest established UK Fly-In organised independently by and for aviation enthusiasts by Air-Britain (Events) Ltd, in association with the Turweston Flight Centre. 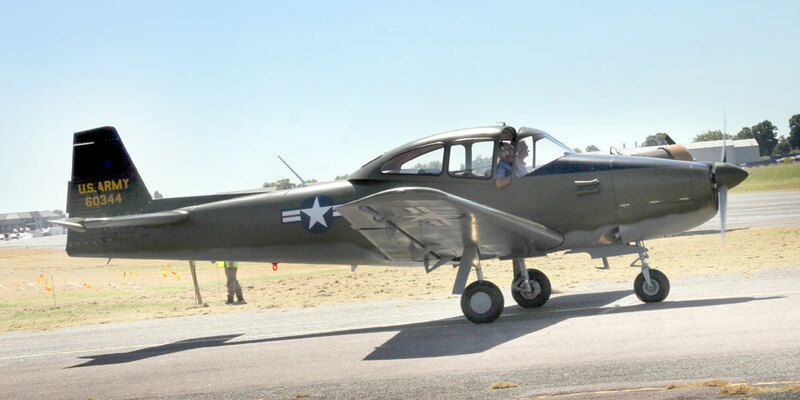 Bring aviation enthusiasts, historians, pilots and anyone interested in aviation together in a relaxed aviation atmosphere to enable the sharing of experiences. 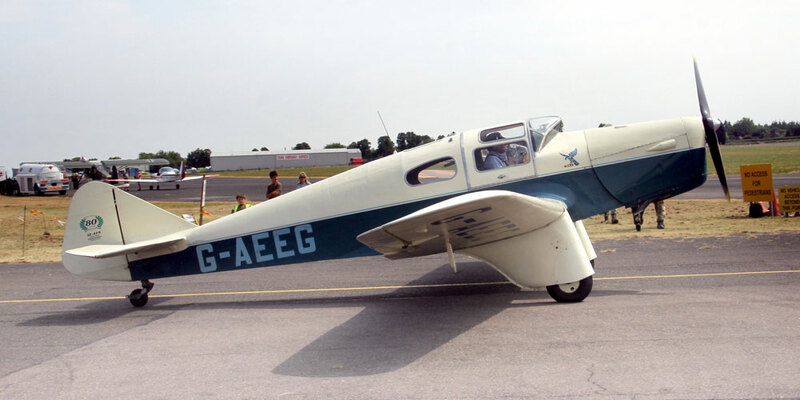 Offer the public, the opportunity to see what Air-Britain offers and to learn more about aviation and its rich history. Provide aviation enthusiasts with the opportunity to appreciate, photograph and talk to the operators of the aircraft attending. Enable Air Britain members to meet its Trustees and executive officers and to socialise with fellow members and like-minded historians and enthusiasts. Please note there is no flying display, but there will vendor stands and exhibitors for visitor to see and a variety of catering all day. 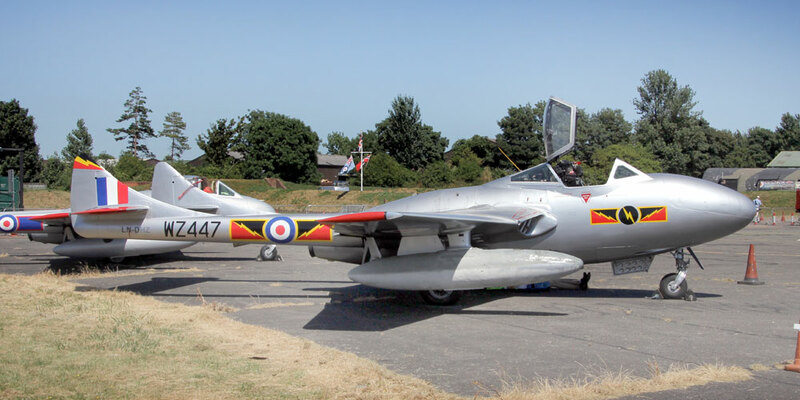 Due to space limitations and to enable Turweston’s other flying activities to continue safely, the number of visiting aircraft for our Fly-In will have to be restricted. Visiting pilots must use the PPR booking arrangements shown on the TFC website (www.Turwestonflight.com).